The island country of Malta is one of Europe’s most gorgeous summer destinations. Featuring scenic views, rich medieval architecture, and immaculate beaches soft as cotton, Malta is one of the premier locations to relax and bask in the sun. Whether you are on a family vacation or trip with friends, Malta offers activities and parties to help you maximize your enjoyment of this arresting island paradise. 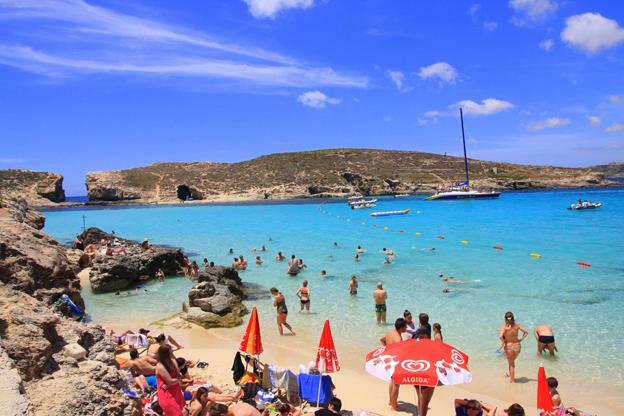 In fact, in the summer the Maltese beaches tend to get crowded with locals and tourists alike. Bright pixels color the beach in the form of bikinis and beach towels. As a small island paradise, you are never too far from the ocean. Hotels in Malta are typically situated only minutes from the shore, with stunning vistas stretching out in all directions. In Northwestern Malta lies the village of Mellieha, one of the more attractive tourist locales in all the country. This is for the most part a result of its nearby beach. The expansive Ghadira Bay is just a few steps from the village, and its shallow waters are the ideal spot for families with small children. The tourist economy brings with it a surfeit of local booths and amenities, from umbrella vendors to snack bars and tiny cafes. If you prefer something more kinetic than sunbathing, there are parasailing or pedalo vendors as well. Nestled beside its neighboring beach Ghajn Tuffieha and the village of Mgarr, Golden Bay is renowned not only for its elegant sand but its 5-star hotel. The Radisson Golden Sands provides top notch restaurants and princely service to go along with its luxurious rooms. The adjacent beach Ghajn Tuffieha also provides a gorgeous vista, its denim sea back-splashed by jagged hills. As a protected area, however, Ghajn Tuffieha offers less in the form of activities than Golden Bay by design. 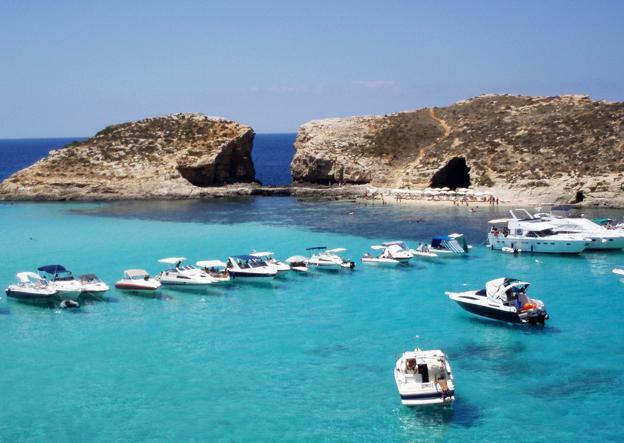 In addition to Golden Bay, Mgarr is also known for being home to another of Malta’s splendid beaches, Gnejna Bay. As there are no direct routes to Gnejna Bay, the beach is a favorite with the locals, allowing visitors a quieter, more serene ocean experience. Tourists interested in sunbathing, reading a book, or taking a light dip in the ocean will find Gnejna Bay more preferable to its famous counterparts. Paradise Bay is a secluded beach situated on Malta’s northern flank, offering magnificent views of the ocean as it splits the main island from the neighboring Gozo. In recent years, Paradise Bay has become a popular spot with young adults. Although crowds are less common, beach parties and gatherings are often held there on weekends. It has also been hailed as an excellent location for snorkeling. Located on a small island in the northeast section of the Maltese archipelago, Gozo is home to one of the most picturesque beaches in Malta. Ramla beach is layered in fine, persimmon colored sand and bereft of modern luxuries and facilities, making it the ideal getaway spot from crowds and technology. This is not to imply, however, that the beaches are devoid of restaurants and vendors, as they are fringed with the usual snack bars and water activities. The article the top 5 best beaches in Malta is written by Claire Short from CarHire.org. Claire loves to travel and writes on a wide range of travel topics.